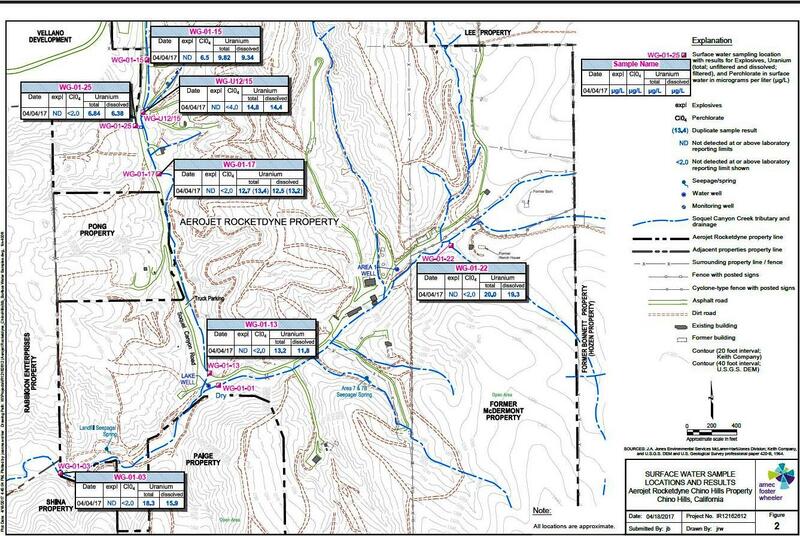 Recent surface and subsurface tests at the closed Aerojet Chino Hills facility reveal high levels of perchlorate in runoff leading to the Santa Ana River. The toxic rocket fuel oxidizer was also detected in the subsurface water along with two explosive materials, one at extremely high levels. 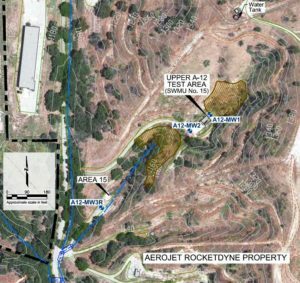 The April 4, 2017 tests were conducted by a subcontractor for site owner Aerojet Rocketdyne (AR) at the behest of Cal-EPA’s Department of Toxic Substances Control (DTSC). 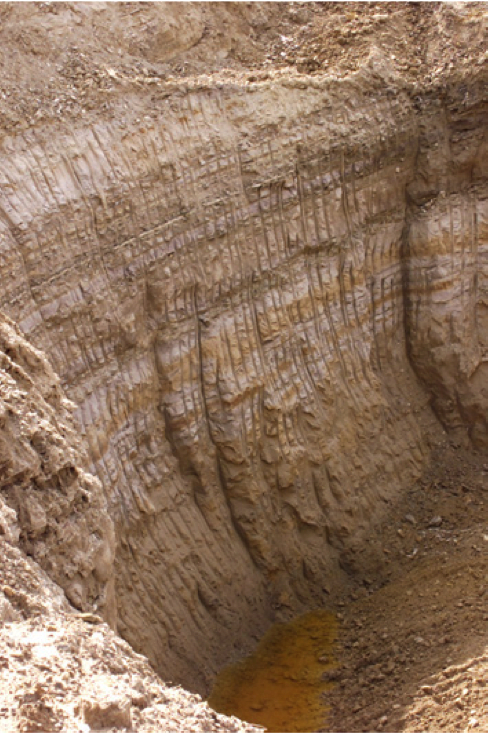 Subsurface testing took place in late June 2017. Perchlorate was found in water above and below Aerojet Chino Hills. 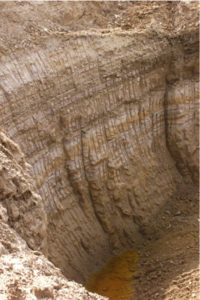 Subsurface water also had enormous amounts of radioactive uranium and the explosive RDX but, according to the report, was not connected to any known groundwater aquifer. 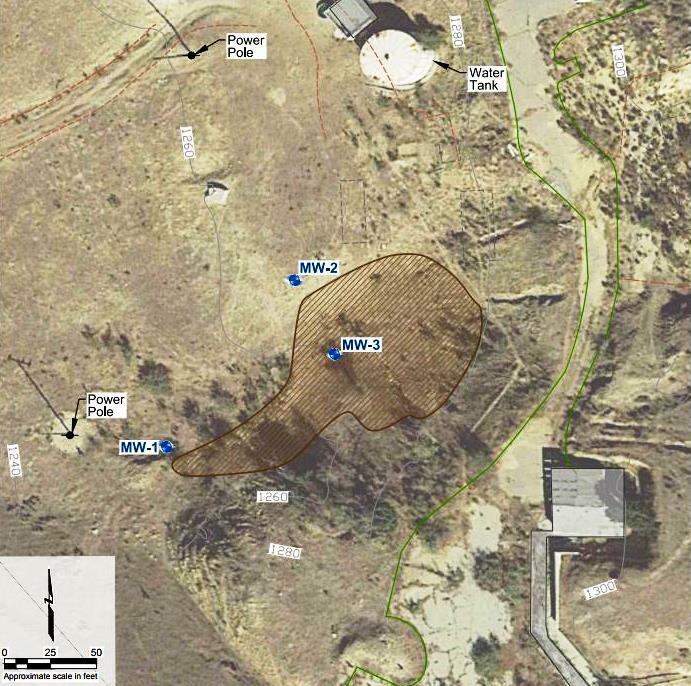 That perchlorate, uranium and RDX at excessive levels have again been found at Aerojet Chino Hills in 2017 is not a complete surprise considering the site’s decades-long history of munitions testing including the use of depleted uranium munitions. What is surprising is that some of the contamination, the RDX in particular, was found in the Red Water Pond area supposedly remediated of it in 2001 as part of a $46 million cleanup. DTSC has overseen Aerojet Chino Hills’ remediation since 1994, including a comprehensive unearthing of bomb and munitions fragments left at the 800 acre site, 562 of which are owned by Aerojet Rocketdyne with the rest leased. 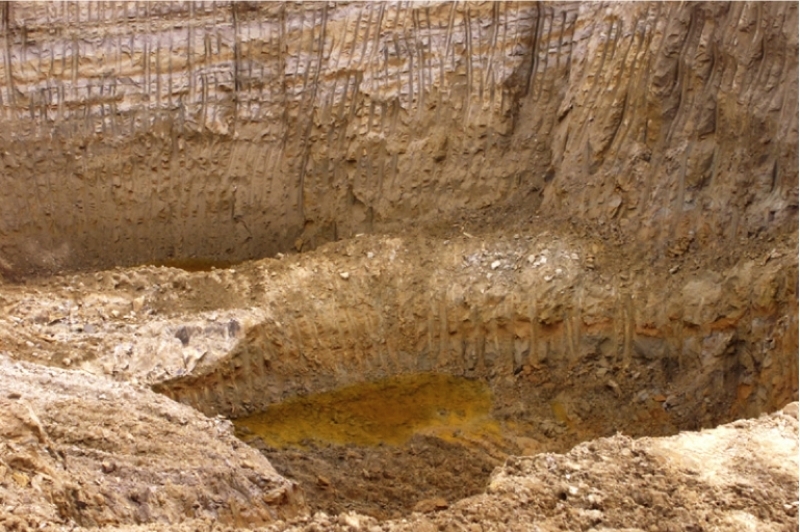 The company previously excavated over 260,000 cubic yards of soil that was re-excavated and re-screened with over 47,000 items and 120,000 pounds of inert fragments recovered and trucked offsite as EnviroReporter.com reported in March 2009. Then, quietly, DTSC apparently reacted to EnviroReporter.com’s comments about the facility’s water, had it tested, found radioactive and chemical goo, declared the place safe and told nobody. It is to the department’s credit that it had initiated the testing in the first place and for Aerojet Rocketdyne to carry it out professionally. Ignoring what the tests actually found, however, is not to their credit and could have public health and environmental implications, especially if the land, zoned rural residential, is ever developed. 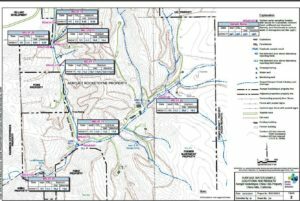 The public comments, which have still not been put online though they inspired these two 2017 AR water studies, were EnviroReporter.com’s 2016 comments. Those comments lauded AR’s plan to remove explosive material from its property but questioned substantial gaps in remediation in scientifically specific terms as well as matters of policy. DTSC’s Romero did not respond to those 2016 comments nor did he inform EnviroReporter.com or anyone else according to DTSC’s Aerojet Chino Hills website, of what Amec Foster Wheeler found. (The 2016 comments are in addition to 2009 EnviroReporter.com comments.) Nor have Romero and DTSC indicated if the remediation being discussed in 2016 ever took place. Regardless, surface water and subsurface water reports unobtrusively appeared on DTSC’s website that EnviroReporter.com discovered on a periodic search of the controversial department’s online resources. 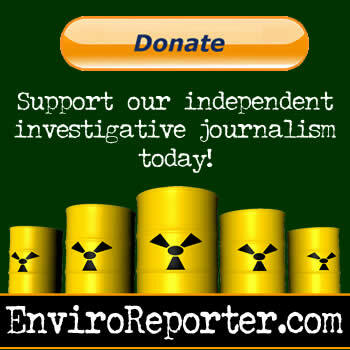 This comes from years of dealing with this department that has held the media in contempt over the last few years and has been more of a front for polluters as EnviroReporter.com has previously reported in Toxic Department. 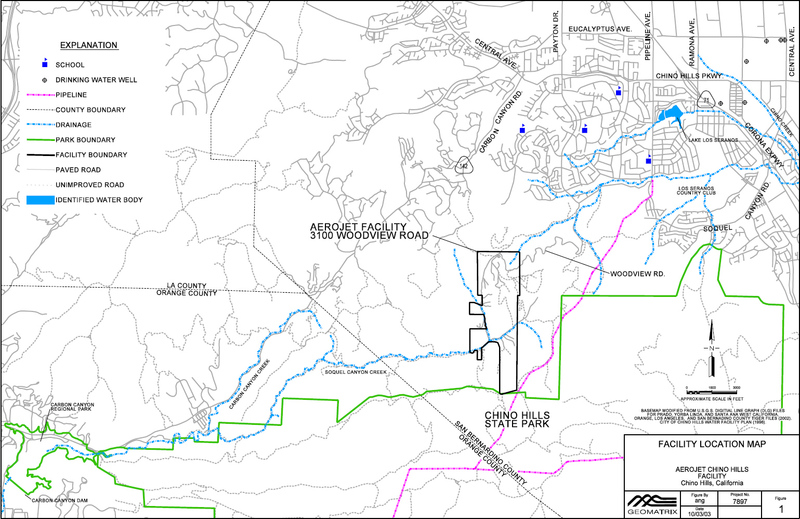 Perchlorate in Aerojet Chino Hills surface water surpassed California’s “Maximum Contaminant Level” (MCL) for the contaminant in drinking water with a reading of 6.5 parts per billion (ppb). The AR water exceeded the MCL by 8.3% and the state’s Public Health Goal by 65 times. That surface water drains into Soquel Canyon Creek. That perchlorate is pouring down a blue line stream running through Aerojet Chino Hills means that detections of it exceeding its MCL are supposed to be relayed to the local water agency, in this case the very same one mentioned here, the Santa Ana Regional Water Quality Control Board (SARWQCB). EnviroReporter.com could not find any evidence that such a notification was given nor has the public been warned. Nor is any action likely even though required by regulations. Amec Foster Wheeler’s 2017 surface water report for Aerojet Rocketdyne as required by DTSC makes it abundantly clear that the message is dismissive. Factually inaccurate would be a kind way to characterize these conclusions. As shown, perchlorate over the MCL is entering a blue line stream, some of which will end up in Orange County aquifers used to supply drinking water to millions. DTSC should have already informed the SARWQCB of this threat to its water supply. The Aerojet Rocketdyne subcontractor also said that past surface water tests were acceptable even though EnviroReporter.com, which prompted the 2017 water tests in the first place, examined DTSC-published sampling and corresponding laboratory results which detected uranium in surface water at triple its MCL as reported in 2016’s Dead for the Hills. 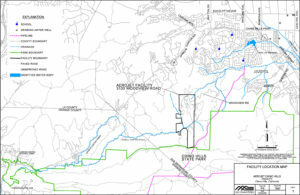 The highest concentration also tested at a sizzling 65 times uranium’s MCL in drinking water. Perchlorate was also found in the same subsurface water at 11 µg/L which is 83 percent over perchlorate’s tap water MCL. The testing site sits about 1,000 feet from the 18th hole of the exclusive Vellano Country Club and the first in a line of multi-million-dollar mansions overlooking the golf course. Luckily, perhaps, Aerojet Chino Hills sits downhill from the gated golf community and the golf course isn’t watered by subsurface water. The Red Water Pond area sits several hundred feet north of A-12 and was the subject of extensive excavation in 2001. That extensive dig was supposed to have solved the contamination problem. Finding this water in these wells suggests that Aerojet Chino Hills does indeed sit upon some kind of groundwater otherwise it was likely that they wouldn’t have refilled and so quickly. That has significant implications considering what was found in the wells in 2017 even after the “no residual contamination” claim from 2001 – HMX and RDX. Well MW3 was sampled June 20, 2017 and tested positive for the high explosive chemicals HMX and RDX. HMX has alternately stood for Her Majesty’s Explosive, High Melting Explosive and High-velocity Military Explosive. It is one of the most explosive chemicals used in munitions. RDX is more toxic than HMX and poses a cancer risk according to the State Water Resources Control Board (SWRCB). It was also found in a much higher amount than the HMX findings of 6.4 and 6.5 µg/L. “RDX was detected in both samples at a concentration of 290 µg/L,” the subsurface water report said. For RDX in California drinking water and its sources, SWRCB has a Notification Level (NL) in lieu of a MCL. The Aerojet Chino Hills 2017 RDX samples clocked in at 967 times their NL. The SWRCB’s theoretical lifetime risk of excess cancer because of this level of RDX is 9.66 excess cancers per 10,000, nearly a thousand times the one in a million goal commonly strove for by the state and federal EPA. DTSC did more than just ignore the results of the surface and subsurface water tests prompted by EnviroReporter.com’s comments. It also didn’t address other major areas of in those same comments which noted high perchlorate in Aerojet Chino Hills dirt, with the highest reading topping out at 853 times polluted Santa Susana Field Laboratory’s (SSFL) perchlorate background in the hills above the Simi and San Fernando valleys in Southern California. That is clearly a concern anywhere but especially in increasingly crowded Southern California. Aerojet Chino Hills has luxury living encroaching on its western and northern borders. 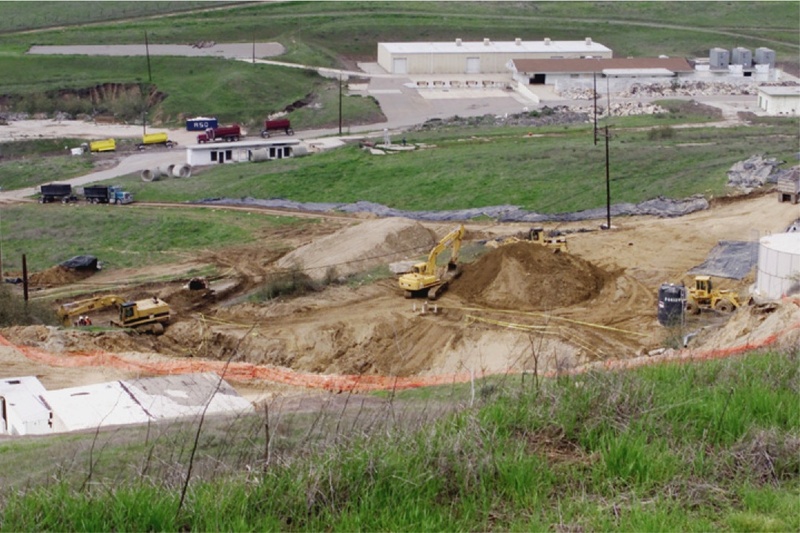 The 2017 subsurface report for DTSC kicks the can down the road without addressing how so much RDX could be in the water after all that excavation of the source contamination in 2001. 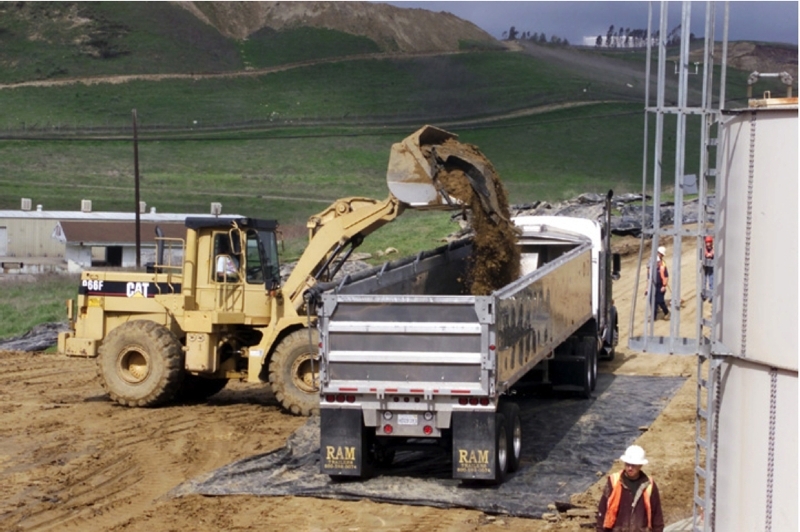 Future land use for Aerojet Chino Hills remains fuzzy. Planning for the future gets dicey when DTSC alternately responds to contamination concerns by ordering more tests only to turn a blind eye to the results of the expensive tests it ordered. Given that Governor Jerry Brown’s administration is responsible for the disastrous shape DTSC has been in since he took office, the public will have to look elsewhere for protection from Aerojet Chino Hills’ insidious toxins. This is really frightening. I just found this website, and I live in a neighborhood about a mile from Woodview Road. Anything up there is going to flow down here, I just know it. That perchlorate is cancer-causing. Uranium is just as bad, if not worse; I’ve heard TERRIBLE cancer stories from veterans who worked with uranium-armored tanks, and uranium-bulleted guns. This site is on a hill overlooking crowded (and growing) neighborhoods. The state and federal officials who are letting Aerojet off the hook should be FIRED. Myself, my husband and I are looking to move. Our children deserve it. The important thing to remember is that, whatever the outcome, we are paying for it. We pay for it with our tax dollars, we pay for it with our health, and we pay for it with our loss in confidence in government. Ultimately, we pay for it in lives lost that could have otherwise been saved if the detected toxins were removed before they could do harm to future generations. Of course, it would have been preferable that the toxins had never been introduced into the environment in the first place. Should we simply wish away the past, or should we act honestly and justly going forward for future generations. Which do you think DTSC seems to be doing? Thank you Michael Collins for answering this question for us.